Established in 1901, Merchants Security Service is now under fourth generation ownership by the Houpt family. Elzie Houpt joined the company shortly after it was founded and shepherded twenty years of growth, enhanced by a major contract with the Dayton Wright Airplane Company. He also established nighttime walking patrol beats in the downtown area to safeguard storefronts. His patrol officers earned the nickname “Merchants Police”—a title that shaped the company name. Karl Houpt joined the company in 1937 and helped in the effort to provide guards to local factories during World War II. He succeeded his father as president in 1949. Karl’s son Thomas became part of the business in 1972, taking over the role of president in 1974. When Thomas retired in 2002, he handed over the reins to his son. 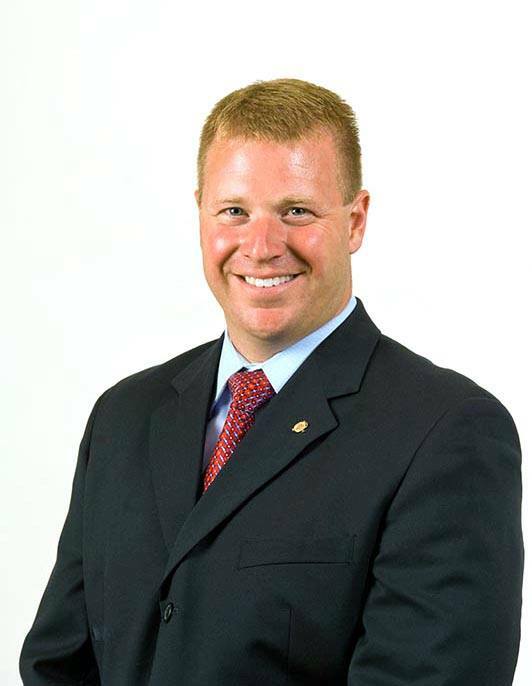 As the fourth generation of his family to serve as Merchants Security Services president, James Houpt holds a business degree and has extensive management experience. The still growing security company now employs more than 300 officers and staff and brings in more than seven million dollars in revenue annually. From our very first job as watchmen for the first Dayton Cadillac dealership to a customer base today of over 100 business to business customers, we protect a variety of corporate facilities, businesses, and schools. But we’re more than simply a local company. We’re a vested member of the Dayton community with longstanding relationships and a genuine interest in making it a safer place to live and work. We hire and train a trustworthy security force to handle themselves skillfully, professionally, and with your interests in mind. Our longtime corporate and campus security customers testify to our proven track record and work ethic. Many of them have been with us for decades: fifty, sixty—even seventy—years. In addition, we are a member of the Ohio Association of Security and Investigative Services (OASIS) and adhere to the association’s high security industry standards. And though we are the oldest security company in Dayton, we remain progressive and visionary in our approach. As a Merchants Security customer, you’re assured of the highest level of quality protection available today. We promise to listen to your needs and provide quality, customized service at a price you can afford. We promise to follow up and ensure you receive the security services you contracted. If something goes wrong, we promise to give you honest answers and fix the problem. James T. Houpt, President. Jim joined Merchants Security in 2000, bringing a B.S. in business from The Ohio State University and five years of management experience. When his father, Thomas Houpt, retired in 2002, Jim became the fourth generation of his family to helm the business. Nathan Burchfield, General Manager Nathan joined the Merchants Security team in 2009 as the Operations Manager. He quickly proved to be a strong leader within the company and moved on to become the General Manager of Merchants in 2013. Nathan has a degree in Law Enforcement & Criminal Justice. His experience as a Police Officer and entrepreneur have proven to be beneficial in helping to lead Merchants down a successful path.